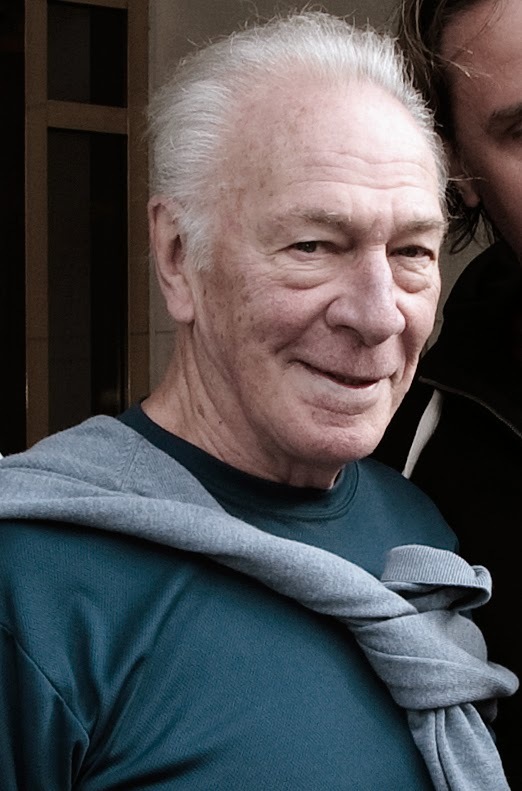 Handsome, intelligent and wickedly talented, Christopher Plummer is a legend of both the stage and screen. I'm thrilled that he will be attending TCM Classic Film Festival 2015. Though I will not be in the audience when he introduces the opening night film, The Sound of Music (1965), with Julie Andrews and a trio of his screen offspring, I plan to attend his handprint and footprint ceremony in the forecourt of Grauman's Chinese Theatre (yeah, still having trouble with the TCL Chinese name...). 3. He has a sense of humor about "that movie"
Though, as Plummer says in the clip above, the fact that The Sound of Music (1965) overshadows his long and varied career "pisses me off," the story "was not his cup of tea" and it isn't his favorite film, he appreciates that he was part of a beloved classic. He has also always spoken generously of his costar Julie Andrews. The particular silly movie I have in mind is Star Crash (1978). This Star Wars rip-off, which I adore by the way, features ridiculous dialogue, costumes that look like they were made out of garbage bags and plastic sheeting, and a crazy, but fantastic cast including David Hasselhoff, former child evangelist Marjoe Gortner, cult favorite Joe Spinell and British bombshell Caroline Munro. In addition to his wonderful performance in Beginners, Plummer has contributed to several interesting films over the past decade, including Up (2009), The Girl With the Dragon Tattoo (2011), The Imaginarium of Doctor Parnassus (2009), The New World (2005) and Inside Man (2006).